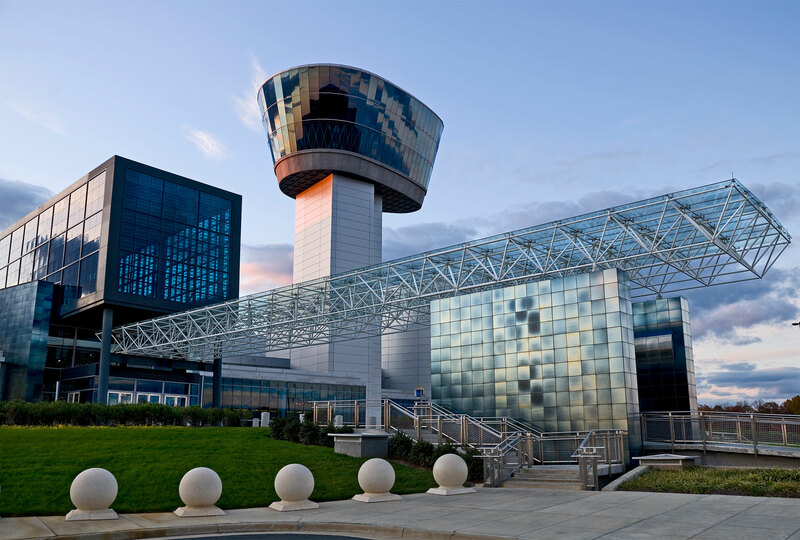 The Steven F. Udvar-Hazy Center near Washington Dulles International Airport is the companion facility to the museum in Washington, D.C. Hundreds of historically significant air- and spacecraft, along with thousands of small artifacts, are on display in an open, hangar-like setting. Other features of the Center include the Donald D. Engen Observation Tower, the Airbus IMAX Theater and the Mary Baker Engen Restoration Hangar, where visitors can watch museum specialists at work restoring artifacts. Space Shuttle Discovery; B-29 Superfortress Enola Gay; Concorde, Lockheed Martin SR-71 Blackbird; Boeing Stratoliner.